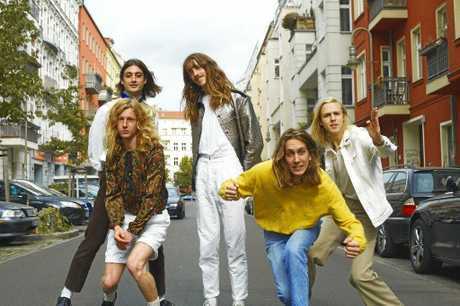 THE BAND: Parcels are Anatole Serret, Noah Hill, Louie Swain, Jules Crommelin and Patrick Hetherington. 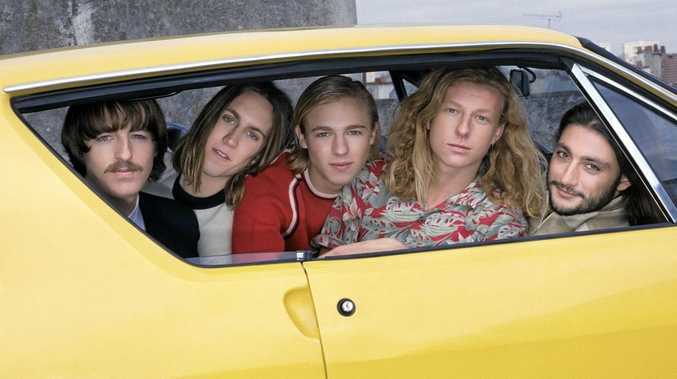 AFTER supporting Phoenix in Europe, a live performance for their US TV debut on Conan, and sold out shows in Paris, Berlin and London, Byron Bay's Parcels upgraded the Sydney and Melbourne venues for their Australian Summer tour. And it's not any tour, the young Byron Shire musicians are supporting Overnight, the single they co-wrote and was produced by electronica moguls Daft Punk in Paris. Daft Punk is a French electronic music duo formed in 1993 by Guy-Manuel de Homem-Christo and Thomas Bangalter. Well-known for performing wearing helmets and for heralding the revival of Disco and electronica, Daft Punk had world-wide hits with Get Lucky (2013), Harder Better Faster Stronger and One More Time (2001), among others. Overnight which has over 10 million streams, is coming to Byron Bay, with a show this month. But how did the song came to be? 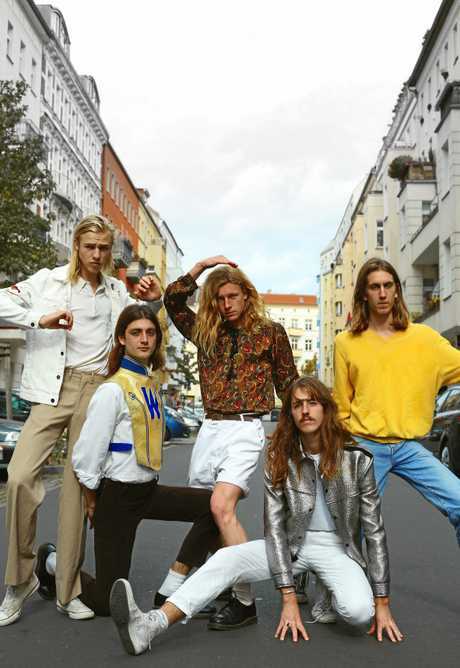 Parcels moved to Europe in 2016 to pursue a music career, and although based in Germany, it was Paris the city where the band has seen the best reception, although their latest European tour saw sold out venues in most countries they visited. Keyboard and vocalist Patrick Hetherington said De Homem-Christo and Bangalter came to see them play at their very first show in Paris, in 2016. "We played our very first ever show in Paris in early 2016 at this little club, and someone said 'the robots are going to be here, Daft Punk is coming' and we were like 'whatever, as if that's going to happen'," he said. "Afterwards we recognised them, because they did come to the show, and we talked to them. "They really liked our show and they invited us to hang out in their studio," he said. The band went back to Berlin and they were invited back to Paris a few months later. "First we spent a week in the studio with them, but we didn't set up to write a song, we just met to play some songs and see what could happen," the musician explained. The 21 year olds were overwhelmed to be jamming with a band such as Daft Punk. "We were very nervous and excited, it didn't feel real, but they sat us down and they said 'everything we do in the studio is equal and 50/50, and let's just be open and hang out, so once we relaxed there were no egos and no more weirdness," he said. "On the first week we would go in there at noon and we would leave at 4am, and we would be walking the streets of Paris wondering what was going on. 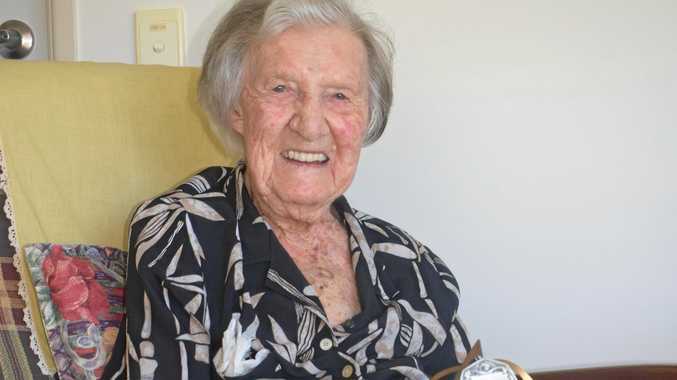 "We went back to Germany and then we didn't hear from them for months and months. "Then they said 'we don't actually like (the song) anymore, we don;t want to do it but you guys come to Paris and see if you can fix it and work on it a bit more. "We went back to Paris, had another session for a few days, and more months happened, but at the end we all got something we were happy with." Hetherington said in the end the band decided they didn't want to have the Daft Punk name in the song. "It was a Parcels song at the beginning but they did produce it," he said. "We learned so much in regards of songwriting and recording, and we see them when we are in Paris." Parcels are Louie Swain, Anatole Serret, Noah Hill, Jules Crommelin and Patrick Hetherington. The release of the single, attached to Daft Punk, allowed the band to have a live TV performance in the US, plus other opportunities. "That American TV show probably would have never happened without happing Daft Punk attached to the song," he said. "They did not wants us to be sucked up by their name, and neither did we, so everyone was veru cautious about that," Hetherington said. At The Northern, Byron Bay, on Saturday January 13 from 9pm.